Do you have a dispute with another individual or organization? Do you want to resolve the dispute? We can help you through mediation. the mediation process generally takes far less time than moving a dispute through the courts. Taking less time means spending less money. 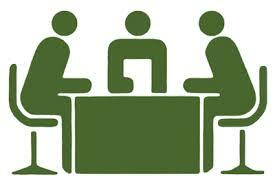 unlike the legal system where court hearings are public, mediation is a strictly confidential process. No one but the parties in dispute will know what happened in the mediation process. in a court case, the parties do not have control over the outcome; it is the judge and jury who determine the outcome. In mediation, it is the two parties who control the outcome. Consequently, the outcome will be mutually agreed by both parties. compliance with a mediated agreement is usually high because both parties mutually agreed on the resolution. Mediated agreements are fully enforceable in a court of law should that be required. Please contact us by clicking here if you want to learn more about how to use our mediation services to assist you in resolving your disputes.